Hard to believe, but Cynthia and I celebrate our sixtieth wedding anniversary this month. You read it right . . . that's ten years more than half a century! I remember looking upon those who celebrated their quarter-of-a-century anniversary as folks who were about a hop away from a walker. And here Cynthia and I are going on sixty-one. How time flies! About the time your face clears up, your mind gets fuzzy. Or at least a little misty. Why? MEMORIES. They have a way of washing across one's mind, like the surf upon the shore, when anniversaries come. Funny memories. Painful ones. All of them dripping with nostalgia. Like our honeymoon—a colossal comedy of errors. And our eighteen months of forced separation, thanks to the military. Such lonely times. But essential in our growing up and facing reality. My midstream switch in careers . . . back to school, that tiny apartment, and those disciplined hours of study. The births of our four children (plus the loss of two we never got to see) and those energy-draining years from diapers to kindergarten. How much we learned . . . how deeply our roots grew . . . how rugged were some of those roads we traveled. An anniversary reminds you, "Don't ever forget the memories. They are imperishable." CHANGES. You don't live sixty years with the same person without doing a flip-flop in several areas of your life. I suppose the most significant change I've experienced is in the realm of sensitivity. I have learned to read between the lines, to hear feelings that are never spoken, to see anguish or anger, fun or fear, and confusion or compassion in a face that communicates what the tongue may not declare. What an authority I thought I was sixty years ago! And what a difference a wife and a pack of kids and ten grandchildren—and four great-grandchildren—can make! God has used them to temper my intensity. The change from an opinionated dogmatist to an open-minded learner was significant. That process, by the way, is still taking place. An anniversary reminds you, "Be thankful for the changes. They are important." DEPENDENCE. My marriage has taught me that I am neither all-sufficient nor self-sufficient. I need a wife. I need her support, insight, discernment, counsel, love, presence, and efficiency. She is not my crutch . . . but she is my God-given companion, ever aware of my moods and my needs. She hears my secrets and keeps them sealed. She knows my faults and forgives them—always. She feels my failures and apprehensions and encourages me through them. For years, Cynthia was unaware of the fact I needed her. I plowed through life like a train—bullish, intimidating, and selfish. Finally, the cracks began to show. Couldn't hide 'em any longer. The Lord showed me the value of sharing my hurts and admitting my need. Of saying things like, "I'm wrong . . . I'm really sorry." And even being up front with my wife and declaring how very much I depend on her to help me hang in there. An anniversary reminds you, "You don't have to make it on your own. Your partner is irreplaceable." DREAMS. Dreams are what you anticipate as a couple and then watch God pull off. Sometimes they are little things, like working in the garden together, dropping a few seeds and seeing the sprouts, and then the fruit. Or praying together about one of the children, asking God to grab the heart and soften the spirit. As that dream happens, you smile at each other. Occasionally, the dream is a big thing—calling for sustained prayer for the return of a prodigal or for endurance through the long illness of a child. Occasionally, the dream calls for sustained sacrifice, mutually shared. Like getting through school. Or getting out of debt. When the reality finally occurs, no words can describe the pleasure of that long embrace, that kiss of profound accomplishment. An anniversary reminds you, "Think of the dreams you have weathered together. They are intimate accomplishments." Anniversaries are a beautiful combination of memories, changes, dependence, and dreams. Ours dates back to June 18, 1955, when a couple of kids said, "I do" and committed themselves to each other for life . . . having no idea what threatening storms lay ahead of us or what unspeakable joys would weld us together. For more than half of our marriage—thirty-five years to be exact—Cynthia and I have worked side-by-side as partners with a wonderful staff at Insight for Living Ministries. Come to think of it, the ministry celebrates an anniversary this month too—thirty-five years! I am a grateful husband. May God be praised for the plan of marriage and the thrill of celebrating it annually with the one I love. I am a grateful preacher. I give God thanks for His magnificent plan and the tremendous honor we at Insight for Living Ministries have to proclaim His truth around this great-big world. 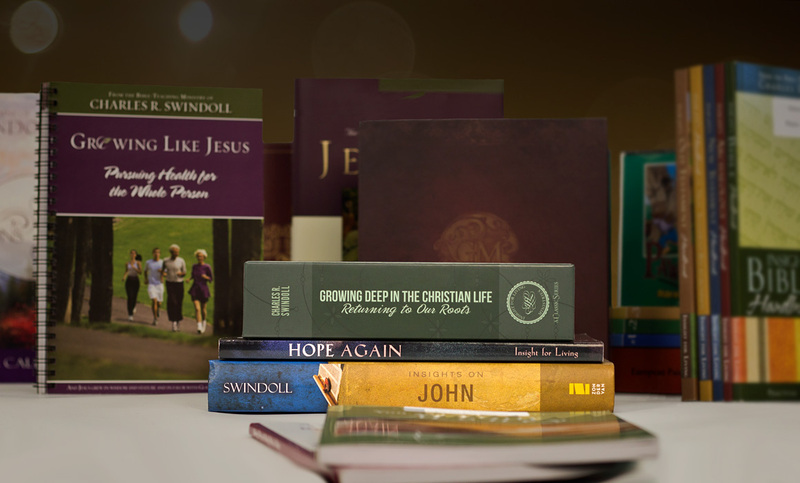 Adapted from Charles R. Swindoll, Growing Strong in the Seasons of Life (Portland, Ore.: Multnomah, 1983), 221-22. Copyright © 1983 by Charles R. Swindoll, Inc. Used by permission. 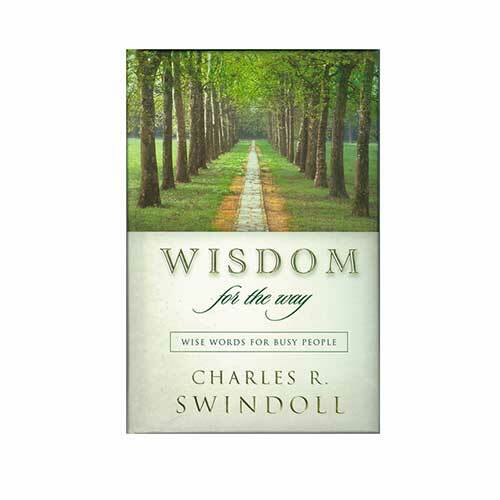 Copyright © 2015 by Charles R. Swindoll, Inc. All rights are reserved worldwide.